Ranger Design HVAC van shelving systems are designed to help you work better, and save money. 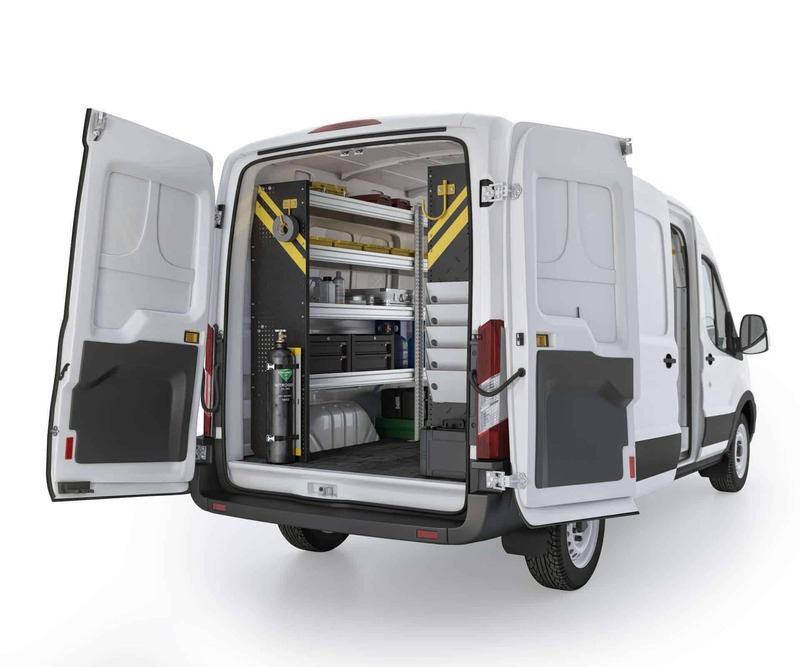 It’s a fact – a well-organized van will save you time, prevent injury and increase your payload. Our Combination Ladder Rack’s flexible design can allow you to carry both a step and extension ladder. You can also find the right HVAC van shelving system for your vehicle here. To make it easier, we’ve created HVAC specific packages for each vehicle to ensure your cargo van is in service as quick as possible. Please give us a call to find out more about an HVAC van shelving and racking solution that will fit your needs, at (800) 565-5321 or contact us.